LOOK! My postcards arrived yesterday! 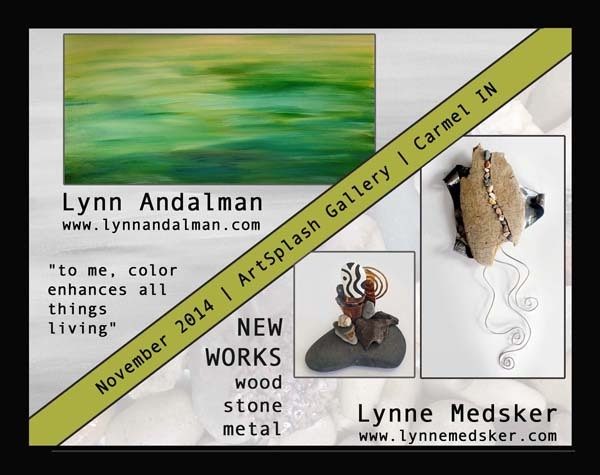 I am also busy creating upcycled envelopes and invitations to the private opening of this upcoming show! 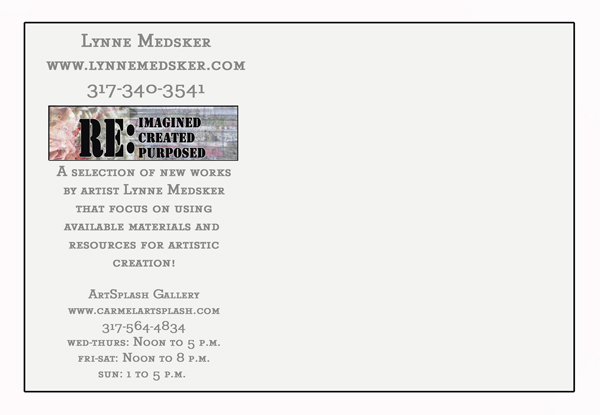 If you will be in the Indianapolis area on June 1st and would like to be invited to the private opening please send an email with your mailing address to info@lynnemedsker.com and I would be honored to send you an invitation. I’ve been busy the past several months exploring different media and materials, especially things that are often discarded. Magazines, newspapers, scrap metal, styrofoam, plastic lids, old books, aluminum cans, used albums & CD’s, wood scraps, packing materials and have even found a few objects that I am not even sure what they were used for! It’s been an interesting journey but now I am narrowing my focus to a handful of those materials and producing new work especially for this show. I will continue to share peeks at the process over the next month. It has really opened my eyes to all the possible materials and genres that can be created by re-imagining and re-purposed items. I’ve even re-created some of my own artwork into something new & different! I do hope you’ll be able to attend the show at some point during the month of June…I am really excited to share my journey with you. In case you missed it I am excited to be sharing an upcoming venue with other digital artists that would like to show their work! 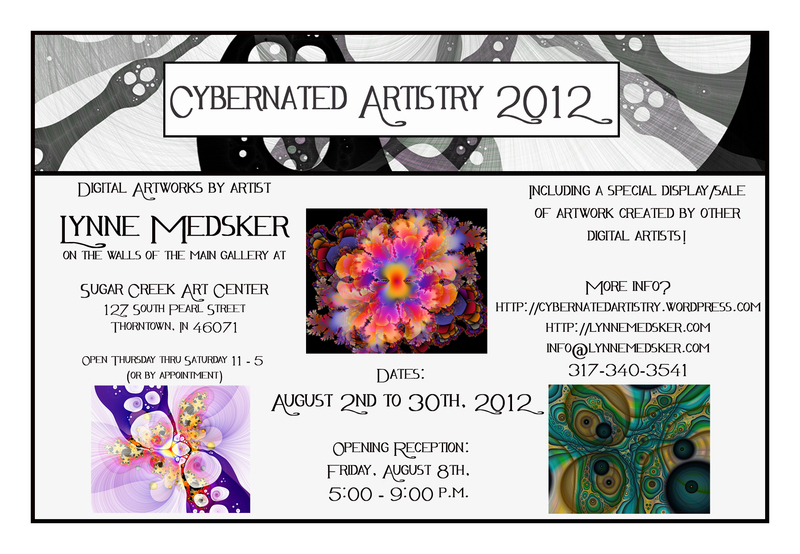 The details and entry form are located at http://cybernatedartistry.wordpress.com. the deadline is in one week! I hope you’ll consider entering and help show the public how diverse digital art can be! PS – So, after passing out these postcards and publishing the image all over the web it was pointed out to me I have the wrong date printed on there for the reception. Sheesh. If I confused you, my apologies…it is indeed a Friday – the 10th. “Intricate Elements” opening one week away! 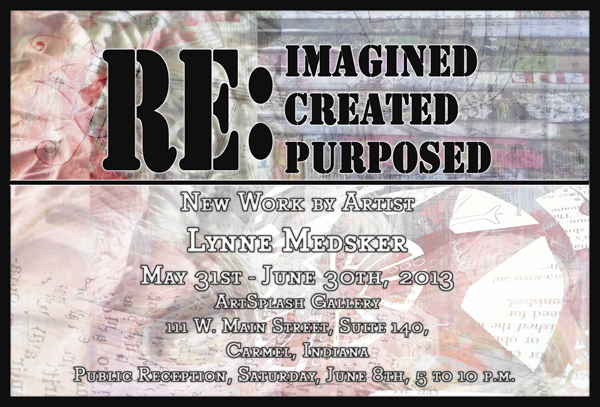 I posted earlier this month about the upcoming “Intricate Elements” show that I will be having in Bloomington, Indiana during the month of April. 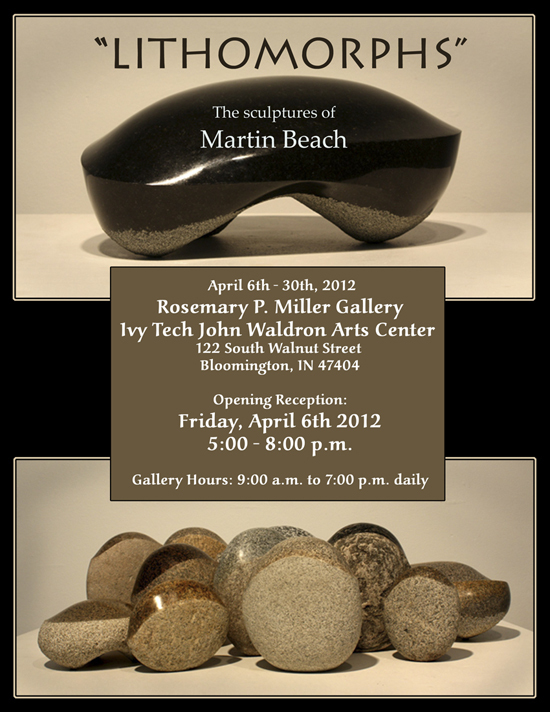 There are so many things going on with/during this show – not the least of which is that I’ll be sharing the gallery space with sculptor Martin Beach! While my digital art will surround you on the walls of the gallery space, Martin’s amazing sculptures will be interwoven through the gallery space as well. These images of his amazing work are just a small sampling of what he has created. I feel honored to be sharing or artwork at the same venue! In addition to our art there will also be poetry and wine, each paired with certain pieces of art during the opening. I can’t wait! 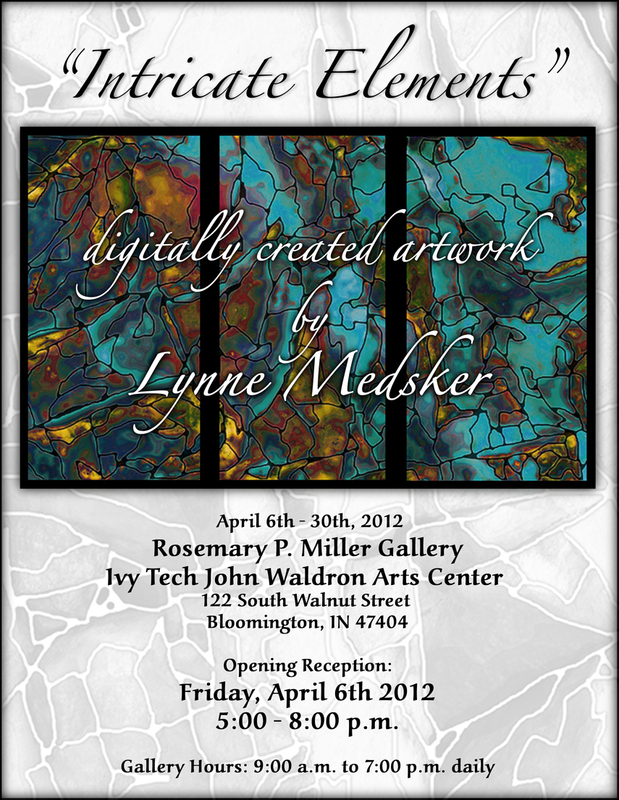 I hope you will join me for the evening of April 6th, it’s going to be fantastic!